Set of 116 Gears! pieces, including special parts such as propellers, wrecking ball, chains, pulleys, wheels and axles. 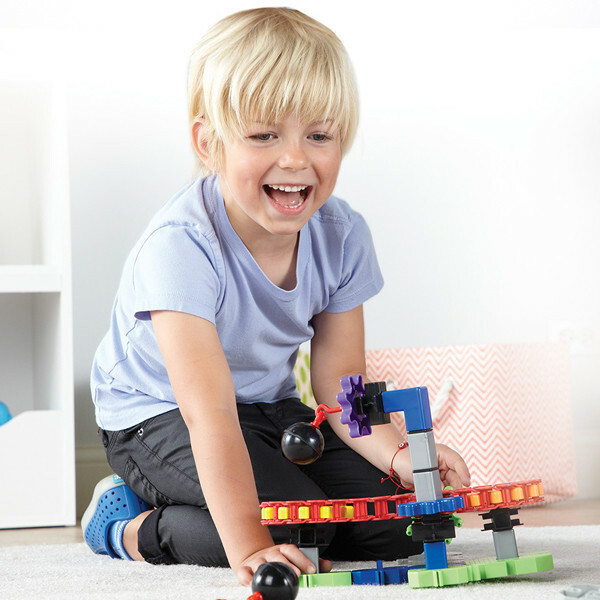 This set also includes instructions for multiple engineering-related creations. Open-ended design and interchangeable parts for exploration and discovery. 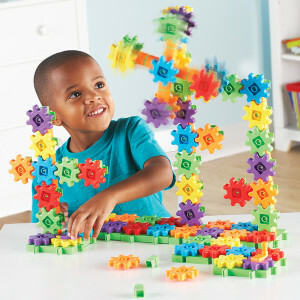 A focus on engineering and building makes for an engaging way to help student develop STEM skills!